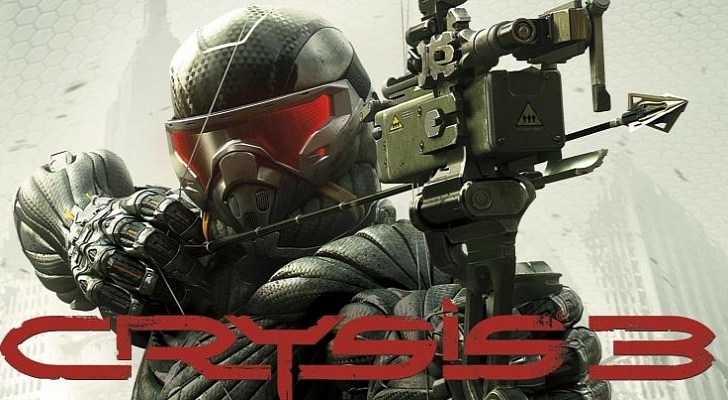 Considered by some as a pioneer in the first-person shooter genre, Crysis returns for its third outing expanding on an already impressive formula to bring visually defining action alongside fast-paced and exciting gameplay. Crysis 3 does a stunning job of taking the best bits of both its predecessors and mashing them into another stimulating single player campaign. Those of you looking for another reason to shoot some aliens need look no further because Crysis has what you want. “How many more people can you shoot before FPS gets boring” I hear you ask. Yes it’s absolutely true and most of my reviews begin by stating that the gaming market is flooded with shooting titles, however developers Crytek have full right to continue bringing Crysis across gaming platforms as they continue to redefine elements of the genre. What was previously a shallow story experience driven by gameplay and graphics has now evolved into a surprisingly deep and intricate storyline filled with interesting characters and narratives. No longer is this simply a run-and-gun battle against an alien invasion, rather this is a look into humanities psyche, demonstrated by the lead characters Prophet and Sykes. Their partnership is often humorous while simultaneously endearing and serious – which helps blend the story to the gameplay. Of course Crysis’s wonderful graphics play a massive role in helping to deliver the terrific dialogue found here. Absolutely stunning character models with detailed facial animation tell their stories in a believable manner allowing you to perceive them visually as well as through their words. These generation defining visuals move further than just character models as just about everything in Crysis 3 is stunning. Set in New York 2.0 (a combination of industrial buildings and earthly nature), the terrific blend of jungles and urban environments gives players plenty to gawk at while planning their assaults: think of New York 2.0 as a giant green house playground for you to explore. While Crysis 3 has plenty of sites to take in, it’s considerably smaller in size than its predecessors – by a few hours actually. However, the brilliant balance between Crysis 1’s open-world feel with the sequels linear pathways makes for a fantastic blend of gameplay that’s paced well throughout. Take note that this is coming from someone who played Crysis 3 on the Xbox 360, those of you lucky enough to have PC specs that can run this will be in for a serious treat as Crysis 3 can justifiably be called the best looking game of this generation so far. This is absolutely a technical as well as artistic marvel for the video game industry. So far you may be thinking that this review is a little soppy, concentrating on the visuals and emotional heart-to-hearts that you’ll be having throughout your time with Crysis 3 – well don’t be fooled because there is a serious first-person shooter to be found intertwined amidst the terrific presentation. Crysis 3 is the kind of game that people who haven’t played the first two, can actually still pick up and enjoy after a quick Wikipedia update on the previous two storylines. For those of you who don’t know, the main attraction of Crysis games is the super powered Nanosuit that players are fitted with. The Nanosuit gives you incredible powers and abilities that can be upgraded as you move further into the game. Different vision types, lock-on systems, weapon schematics, movement adjustments etc are just a number of different abilities you’ll be able to manipulate to create the perfect super soldier. New to Crysis 3 is the hacking ability, which ironically seems pretty overused in other franchises. Players can now hack equipment starting from basic locks to eventual turrets and weapons, giving you a distinctive advantage in combat. The bow-and-arrow seem to be quite popular in video games currently – with Lara Croft wielding an awesome bow and now the Predator bow available here, players get the opportunity to covertly take out enemies silently from a distance to avoid any unwanted enemy contact. Unfortunately just like in Tomb Raider, the bow happens to be so much fun to use that it almost renders the rest of the awesome arsenal you have obsolete – so be sure to experiment with everything at your disposal. For a game that boasts so many upgrades, enhancements and options, Crysis 3 is surprisingly easy to manage. With an interface that’s a delight to interact with, you should rarely find yourself frustrated, which can occur in other games. While PC gamers get the option for using the keyboard + mouse combination, those of you using controllers will also find a really smooth experience as you begin enhancing your arsenal and picking up more abilities – the ability to keep things streamlined is incredibly important and Crysis 3 does a great job doing so. We’ve come to know the Crysis franchise as predominantly a single-player experience, but that’s not to say it’s not worth giving multiplayer a go. Following in the footsteps of various other modern shooters, you should feel right at home jumping into the multiplayer variants available. The best in multiplayer definitely comes out of the modes that emphasize the Nanosuit’s awesome powers – Hunter mode in particular that forces to cloaked Nanosuit soldiers take on a group of soldiers with only the bow and stealth camouflage. Crysis 3 is a well-rounded FPS title that does the series a world of justice. With careful emphasis placed this time round on the campaign, Crysis 3 feels much more than a generic and bland alien shooter, there’s something a little bit deeper and more emotional here, which certainly aids to an experience already brimming with life visually. Jaw-dropping design and technical presentation supplements engaging and fun gameplay, making this a great experience across the board and across all platforms. Crysis 3’s take on sci-fi action is exhilarating and varied – it’s your choice how you want to handle the situation, guns blazing or silently with your Predator bow. Variety in a terrain helps transform combat and keep it feeling fresh and exciting as you progress from mission to mission. Multiplayer also holds its ground despite the series being renown for single player gameplay. Across all platforms but especially on a top-end PC, Crysis 3 is stunning in all visual departments. Words don’t do the game justice. On top of this fantastic narrative and dialogue help supplement the gameplay and make this more than a mere run-and-gun experience. You’ll want to replay the game on a harder difficulty level once you’re through the first time round. It’s also worth spending some time on the multiplayer, which is quite entertaining but might get overshadowed by the other comprehensive online shooters like Battlefield and Call of Duty. As this generation comes to an end it’s still wonderful to see such fantastic titles come out for us gamers to enjoy. Crysis 3 does so many things well and rarely falters in its attempt to bring well-rounded and engaging first person shooting across all the platforms. Absolutely incredible visuals intertwine with great dialogue, narrative and gameplay to create a really great game. CeX recommends similar games: Call of Duty: Black Ops 2, Battlefield 3 & Crysis 2.